Winter is already beginning to take hold and a strong cold snap is predicted; unfor­tunately, this is just a prelude to what is predicted to be one of the worst UK winters in over a hundred years. Making sure all properties are adequately insulated against this oncoming cold weather is essential and Twistfix are proud to supply a selection of foil insulation products to facilitate the task. Good insulation provides thermal comfort to the occupants of a property as well as reducing condensation and the problems with damp that can be caused by it. Dramatic savings can be made by the amount of energy saved and the insulation is also useful during the summer months when it works to prevent excessive indoor heat. 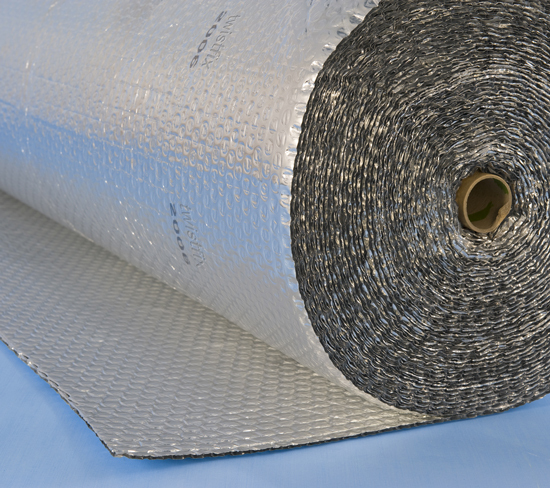 Foil insulation works differently from other types of insulation in that it reflects radiated infra-red heat; the two main types of foil insulation are bubble-wrap and multi-foil. 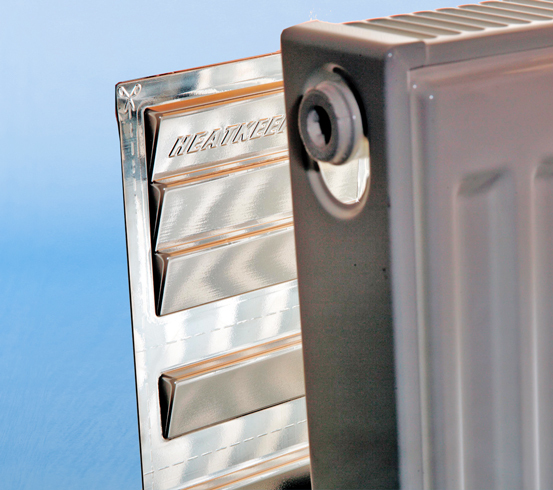 Both products form part of the Twistfix insulation range as does the very effective radiator reflective panels. Ecoflex is a reflective foil insulation solution that, BRE-certified, helps to reduce heat loss via its infra-red reflective surfaces. Versatile enough to be used on roofs, floors and walls, the insulation comprises two layers of highly-reflective aluminium foil separated from one another by an innovative air-film bubble-wrap centre. The high-performance foil forms a vapour barrier with many air spaces, each with a low-emissive index to superbly enhance the thermal performance of the structure. CFC-free, Ecoflex has no potential for ozone depletion whatsoever and so is an envi­ron­men­tally-friendly choice, while its simply-cut and -installed nature makes it incredibly DIY-friendly. Supplied by Twistfix at the most competitive price, the value of Ecoflex is further enhanced with our ongoing offer of a free roll of foil jointing tape with each item purchased. 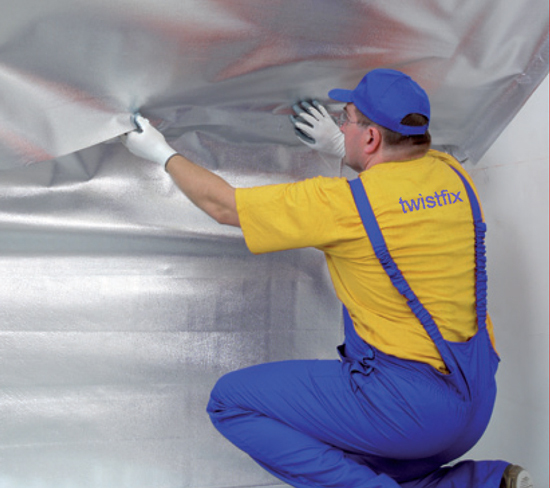 Twistfix SuperQuilt Multi Foil Insulation has a thermal performance equalling that of traditional insulation though is many times thinner, making it much easier, more convenient and cost-effective to use. The product has been independently tested to meet all official quality, health and safety specifi­cations and is formed from 19 layers of reflective material to imbue it with a thermal resistance property of 2.50m²K/W. 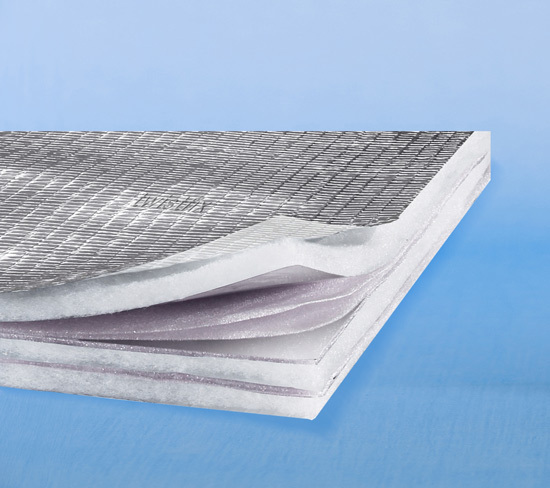 Perfect for both new-build and retrofit applications, SuperQuilt Multi Foil Insulation is easily-handled and simple to install, offering professional results every time. For more information on our insulation solutions, including spray foam insulation, please contact 0845 123 6006 or email sales@twistfix.co.uk.